Discover the French Riviera and its unique scenery with green transportation: the bicycle! Whether you are a confirmed cyclist or beginner, adept at mountain biking or looking for bike tours to do, the Côte d'Azur meets all your desires! The Hotel Florence Nice gives you its best rides and stock your bike for free during your stay. The Côte d'Azur is the favorite playground for cycling enthusiasts, many circuits offer extraordinary landscapes. Enjoy your stay in Nice to ride the roads of the French Riviera by bike. Among the key routes to discover there is the circuit Nice / Cap Ferrat. 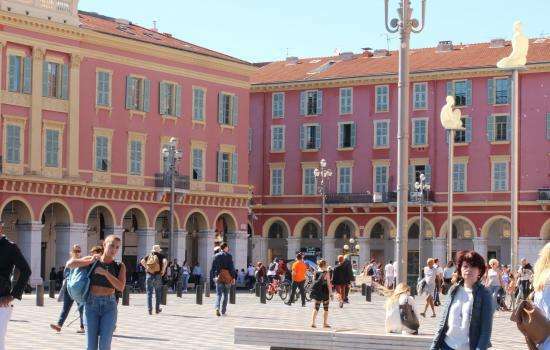 Take a bike ride from your 3-star hotel in Nice to the Rauba Capèu wharf, which lies between the famous Promenade des Anglais and the port of Nice. Throughout your journey you cross and discover the castle of Old Nice, the Fort of Mont Aulban and the Semaphore of Cap Ferrat with breathtaking views of the Bay of Villefranche, Cap Ferrat, Old Nice and the Promenade des Anglais. Discover also the circuit La Littorale. From Nice to Cagnes sur Mer, passing through Saint-Laurent-du-Var, pedal through 14km of bike paths secured and accessible at all levels. Leave the Hotel Florence Nice and walk along the Baie des Anges and the beaches of Nice. Continue the walk past Nice airport, the French airport with the best view of the landing, and be closer to the airplanes, in a beautiful setting. Continue along the Pont Napoléon III and the seaside resort of St Laurent du Var. Finally, discover the Bay of Angels Marina, buildings with curves evoking waves of the Big Blue in Villeneuve-Loubet. Find all the other circuits on the Côte d'Azur here. Where to rent a bike in Nice? Rent a bike near the Hotel Florence Nice in a bike rental shop like Holland bikes or Holiday bike. Book your bike directly online and then get it back in the shop. Green Hotel sensitive to the environment, the Hotel Florence Nice offers to store your bike the time of your stay safely in the basement of the hotel. This free service allows you to sleep peacefully and to leave to discover the bike paths of the city of Nice in great shape. We encourage our customers to opt for green transport! The City of Nice also offers rental and self-service bike stations called "blue bikes". Two stations are two blocks from your eco hotel: Rue Emma and Philippe Tiranty (station 63) and Boulevard Victor Hugo (station 35). 175 stations are distributed in the communes of Nice, Cagnes sur Mer and Saint-Laurent-du-Var. 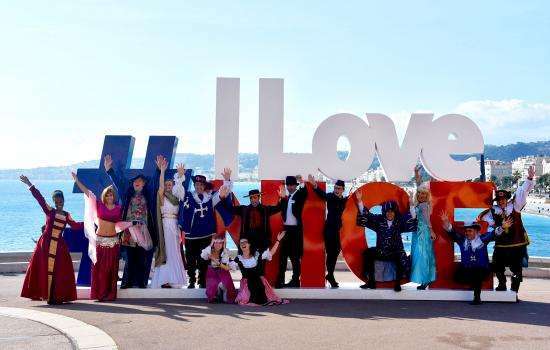 You are now ready to discover Nice and the French Riviera by the seaside. Do not hesitate to contact the reception for any additional information. Discover the Côte d'Azur aboard a bike for responsible tourism from the Hotel Florence Nice! 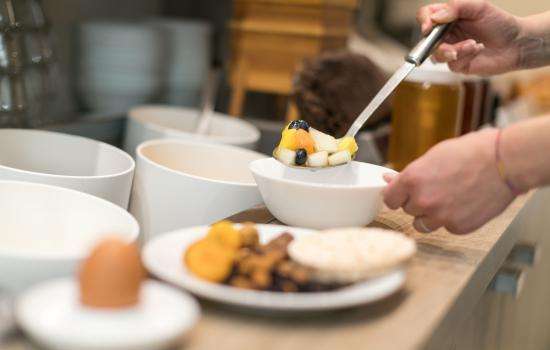 Every morning also enjoy the buffet breakfast to recharge your batteries before your bike ride from your 3-star green hotel.